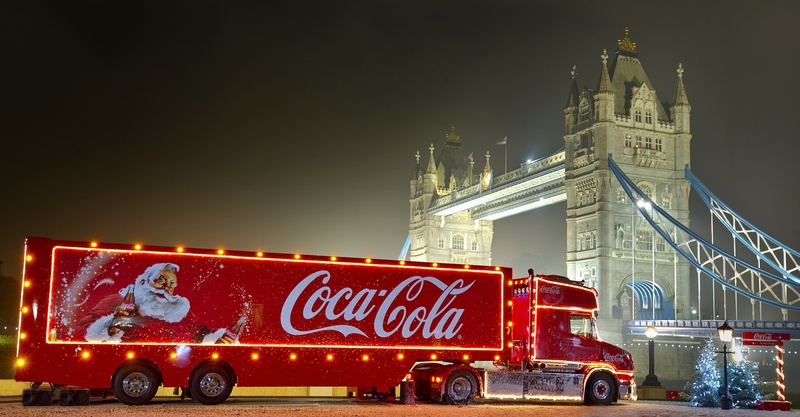 The UK’s favourite Coca-Cola Christmas truck returns to give a little happiness this festive season. To many of us, the sight of Coca-Cola’s iconic ‘Holidays Are Coming’ advert signifies the start of the Christmas season. Soon, people across the nation can be set for even more festive joy as the unmistakable Coca-Cola Christmas truck makes a return, embarking on a nationwide tour starting on 28th November. Stopping at 45 locations up and down the country, the iconic Coca-Cola truck will give fans the opportunity to take part in a unique experience by getting up close and personal to the famous vehicle. On each stop, people have the chance to take pictures with the truck as it lights up (just like the advert), whilst enjoying a snowy winter wonderland setting and a refreshing Coca-Cola or Diet Coke as a choir sings Christmas hits. People around the UK can also expect to receive more happiness, with the launch of limited edition Christmas glass ‘ribbon’ bottles – with a clever label that can transform into a gorgeous Christmas bow – available online and in- store at Selfridges. In 2013, fans were keen to check out the route of Coca-Cola’s Truck Tour as its website received nearly two million hits. 200,000 people appeared in the photos taken from the visits and throughout the Christmas campaign, festive cheer was shared 57 million times using #HolidaysAreComing. 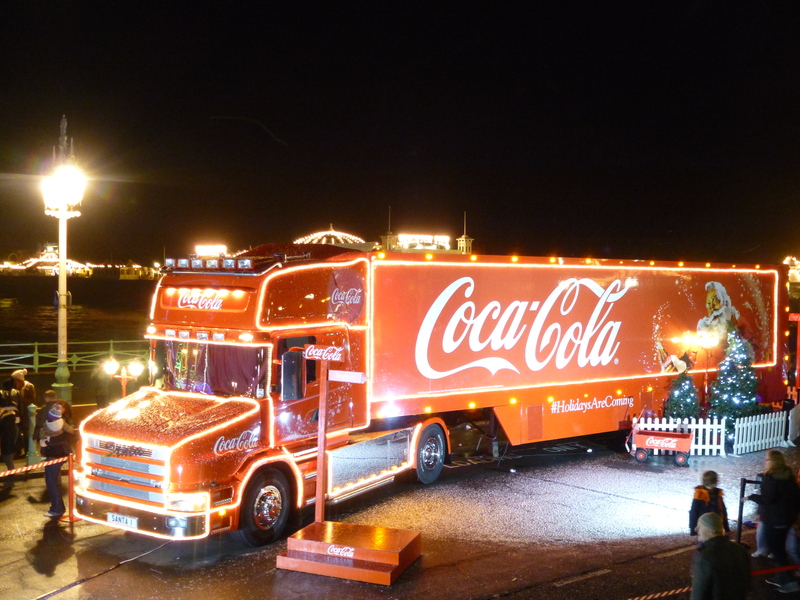 Ever since the Coca-Cola Christmas truck first appeared on screens in November 1995, it has become a regular feature of festive TV schedules in more than 100 different countries. It is universally recognised as a personal countdown to Christmas.